Boosting your credit score can reduce borrowing costs, and we’ve got some tips to help you do that. We’ve found three new products to help you achieve a higher credit score. One is approved for home mortgages, while the other two will help with all other types of loans. Fannie Mae and Freddie Mac may accept the other two in the future. Let’s start with the tool that helps with mortgages. CreditXpert Wayfinder works like this. With your lender, you determine how much of an improvement you need to qualify for a loan, or to reduce your rate. The higher score you have the lower rate you qualify for. A lower rate means you either save money on your payment or qualify for more home. Why pay more for less of a loan? The software comes up with options and a plan to achieve a higher score within 1-2 months. 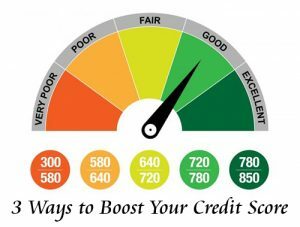 The average credit score goes up about 27 points on this program, which can save you lots of interest on the money you borrow. In the promotional video for this program, it shows you which credit cards to cancel or pay down and by exactly how much to improve your score. Sometimes cancelling a credit card can lower your score. It’s always been a complicated business figuring out exactly what credit bureaus are looking for. They look at available credit, credit history, credit utilization, etc. The consumer had no good way of figuring what methods would help their score. This plan comes with a fee of about $15-$18 at each of the credit bureaus plus a rapid re-score fee by an outside vendor when it’s completed, but the fees more than pay for themselves in lower borrowing costs. Check with your lender to see if they offer this service, and if you need it. Borrowers are sometimes surprised to find out they can borrow with their existing credit. We just got a buyer a home with a 550-credit score on a FHA loan. Actually, we didn’t do anything. The lender did. We have great lenders with a proven track record of closing loans. There is nothing more frustrating than picking the wrong lender and finding out your deal is dead after spending money for appraisal, inspection, etc. If you’re working with an Ellis Team at Keller Williams Realty agent, we can recommend lenders with proven track records. We know who they are. Another option is Experian’s new Boost product. It imports your utility and phone bills history into your score. If you’re paying those bills on-time, this can raise your score in a majority of cases. FICO Ultra Score is a new product rolling out soon. It imports your banking, savings, checking, and money market accounts into your score. If you pay your bills and have some extra money in the bank somewhere, this may help your score. So far mortgage loans are not utilizing Experian’s Boost program or FICO’s Ultra Score program yet, but other consumer credit like auto and boat loans, credit cards, and revolving credit might. Who knows, perhaps in a few months mortgage loans will benefit from these programs too. It pays to know your options, and work with people who know their stuff. The first step in the home buying process is picking which resources can help you. We offer 3 great resources, so you’ll never have to wonder. Always call the Ellis Team at Keller Williams Realty. 239-489-4042. We can help you find the right lender and find the right homes. Our website www.LeeCountyOnline.com is another great resource. It has all the homes, has neighborhood data, and home value data. It’s updated every few minutes unlike some of the other online search places. Getting bad and outdated search data is as frustrating as picking the wrong Realtor or wrong lender. Give our team a call. We can help, and you’ll notice the difference. Good luck and Happy House Hunting! 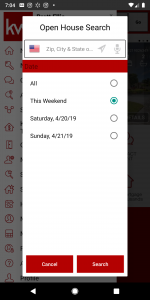 Posted in Cape Coral, Cape Coral Real Estate, Fort Myers, Fort Myers Beach, Fort Myers Real Estate, Reflection Lakes, Southwest Florida Real Estate.Tagged Boosting Your Credit Score Can Reduce Borrowing Costs, open house app, SW Florida Real Estate Market Update March 2019.